This yacht was meant to be special but without making too much fuss about it. 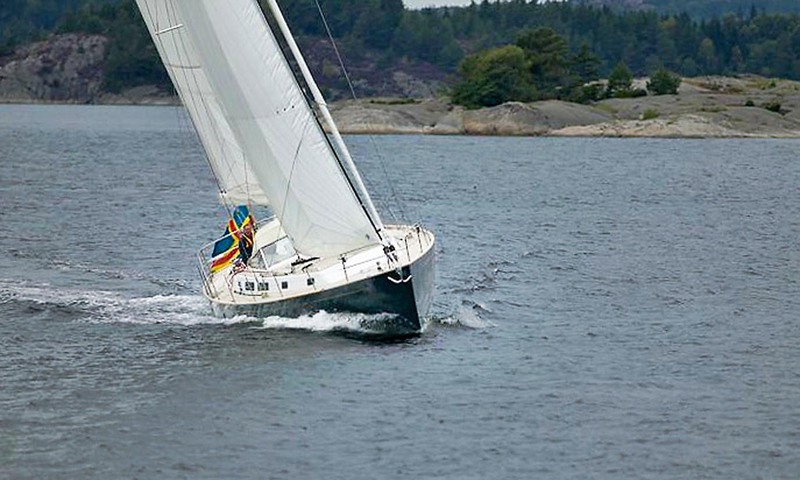 She may bear superficial resemblance to Hallberg Rassys and Najads built on Orust, on Sweden’s rocky west coast. 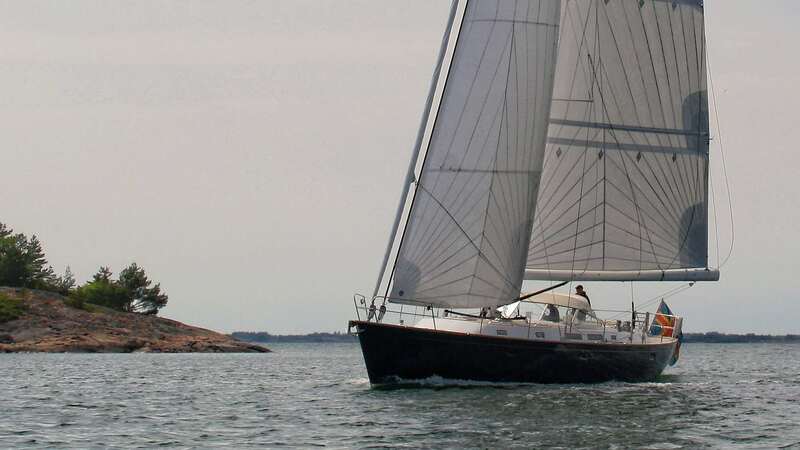 However, this yacht was has a different DNA altogether and, on a side note, was built on Tjörn, the neighbouring island just south of Orust. 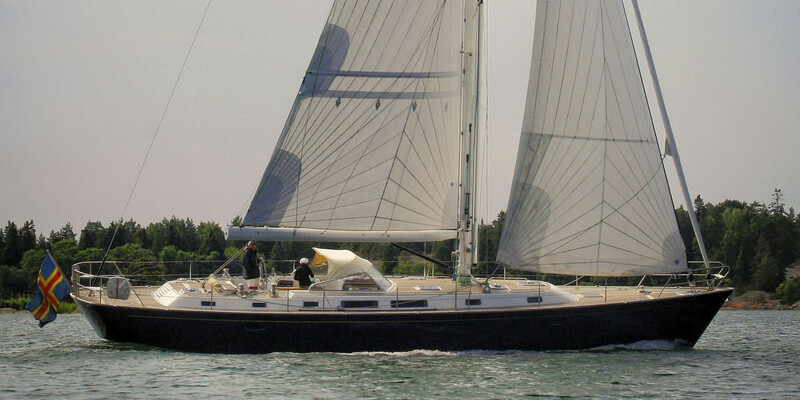 She is a one-off from the tip of her carbon mast to the bottom of her lead keel; nothing is standard, not in design ideas, nor in the way she is built. 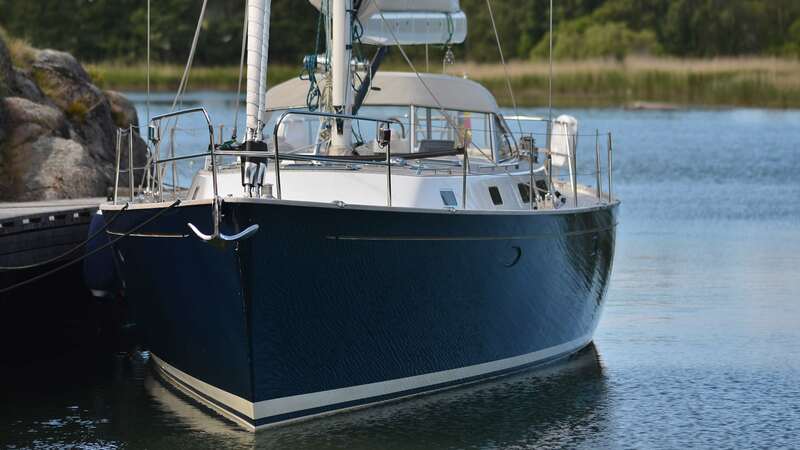 In terms of two things, she will happily challenge any similarly sized cruising boat: In comfort, and in speed. In order to protect her crew from the cold during early spring cruises, her cockpit is sheltered by a windscreen which is a common feature on boats in these waters. She even has a centre cockpit. But the similarities with some other Orust boats ends there. How do you shave off 10,000 kilos? The 57’ One-Off is relatively light at 19,500 kilos. This is an essential part of her performance; if she weighed 30,000 kgs (which can be considered normal for the size and kind of boat) she wouldn’t be such a flyer. In order to be light, a yacht has to be designed light. With her carbon rig, just enough lead in her bulb keel, and the boat built like a monocoque, a one-piece construction, she weighs less. 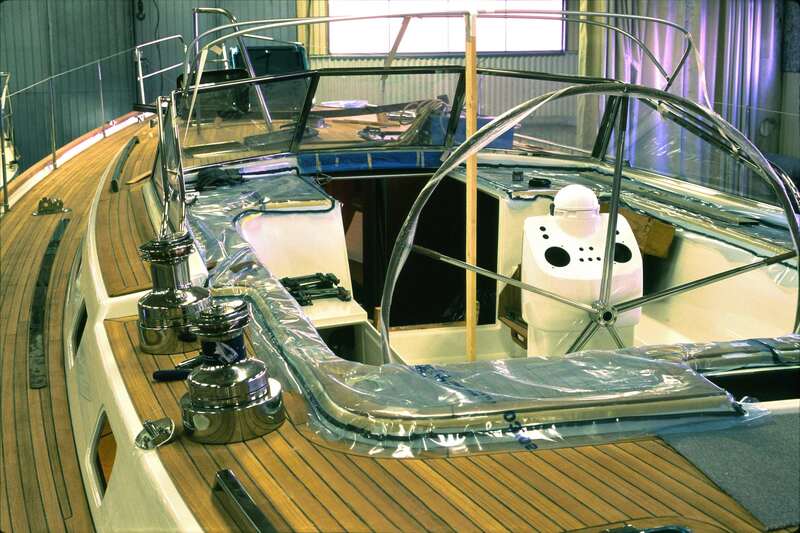 In places where ordinary boats are assembled out of big parts glued together with big flanges, for example in the hull-deck joint, this yacht is made in one piece. The laminates are hand rolled to a very high fibre contents, vinyl ester is used throughout together with e-glass. 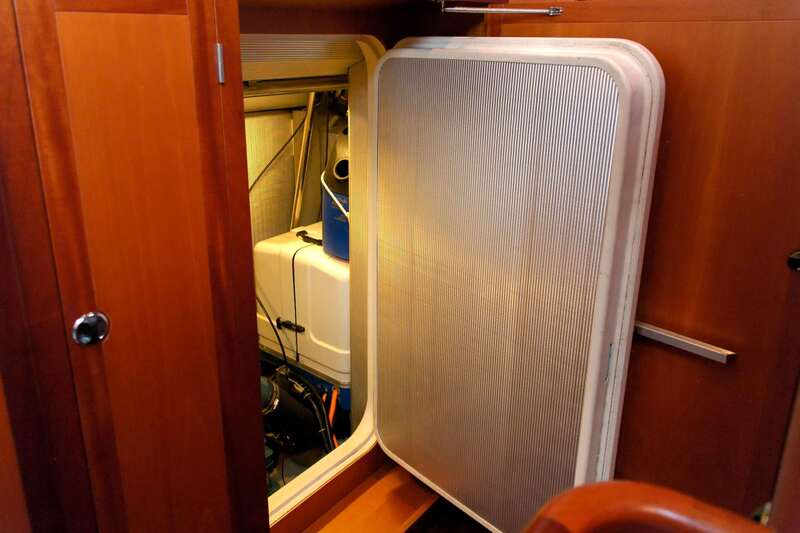 A foam core is used everywhere except in some highly loaded areas like the keel area. The result is an immensely strong, moderately lightweight yacht. 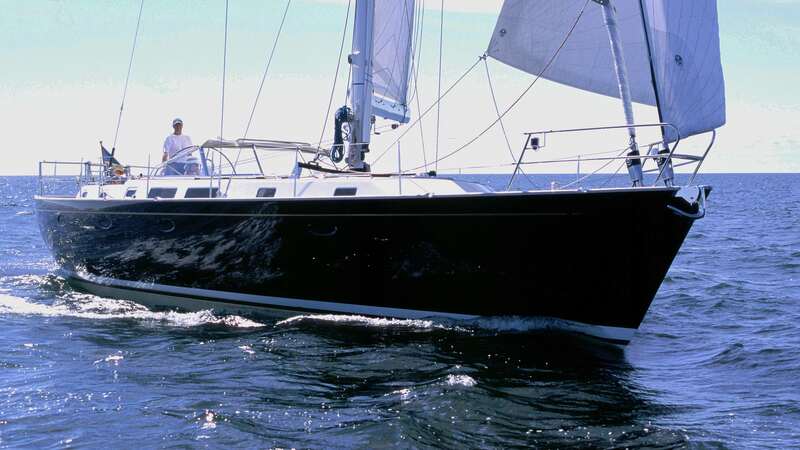 The 57’ One-Off is a centre-cockpit yacht. Generally speaking, I am not a great fan of centre cockpits. These are usually too far forward and too high up in the boat, and so will make you feel exposed. They are usually too small too, typically only 2 or 2½ metres long and without enough room for the helmsman’s seat or a big wheel. In this design, the two big aft cabins required a centre cockpit. So how bad is it? It is in fact lovely, being much longer than usual, 3½ metres long, not much wider, but rather deep and well protected. There is a helmsman’s station aft, spanning the full width of the cockpit. It is easy to find a position on the windward or leeward coaming. The helmsman’s seat is a little higher and visibility is excellent. At the helm, the floor can be raised so it works fine for shorter helmsmen too. 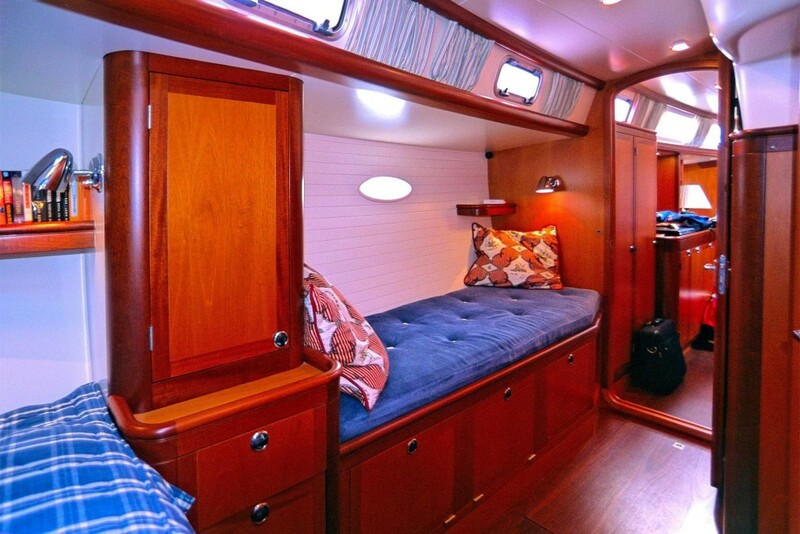 All the sheets and trim lines are close at hand so the boat can be sailed single-handedly. 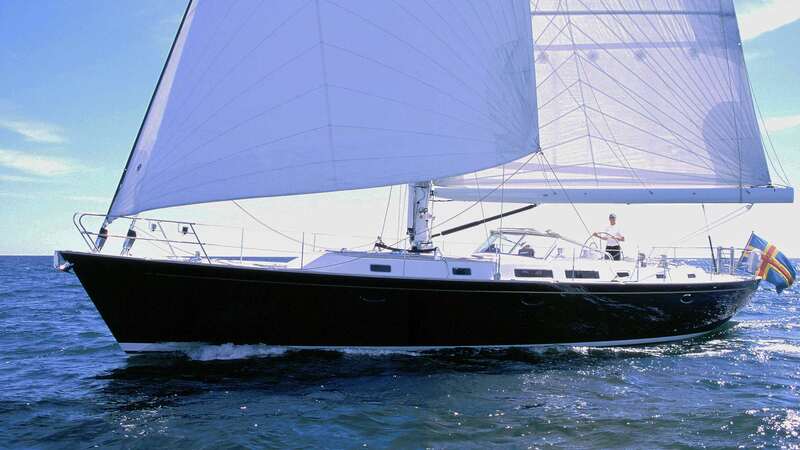 The winches, the twin headsail furlers and the bowthruster are all electric and controlled by the helmsman. The forward seating is long, with discretely contoured seats and comfortable backrests. This is a layout for leisurely sailing, sleeping, reading or watching the stars on the ocean… Or for dining, in which case the flat surfaces either side of the entrance are perfect for serving. 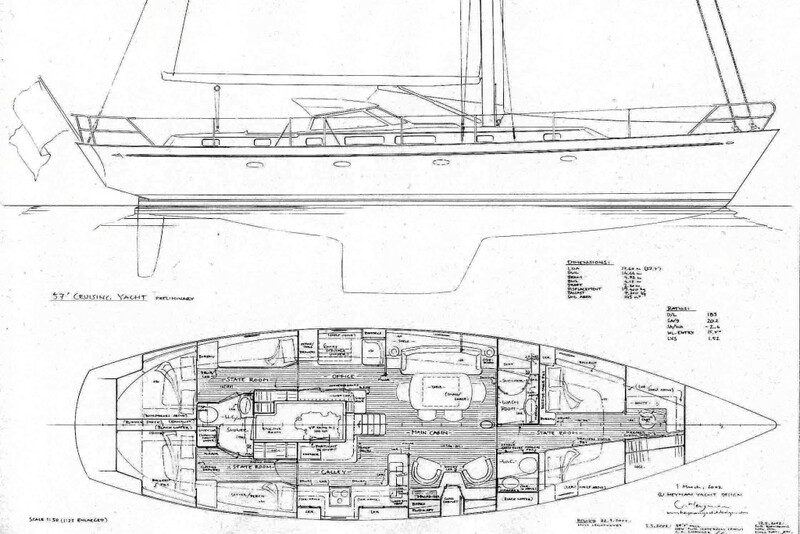 There is a sizeable lazarette locker aft and a forward deck locker. The forward locker has a shallow part, with its own flush hatch, so the docking lines inside will always be easy to reach. In the cockpit coaming aft is a dedicated space for the life raft. Walking around the decks is comfortable and safe, and there are well-placed handholds. As you enter the main cabin, there is a wet locker directly to port of the staircase and on top of this a shelf for sunglasses, books and a camera. 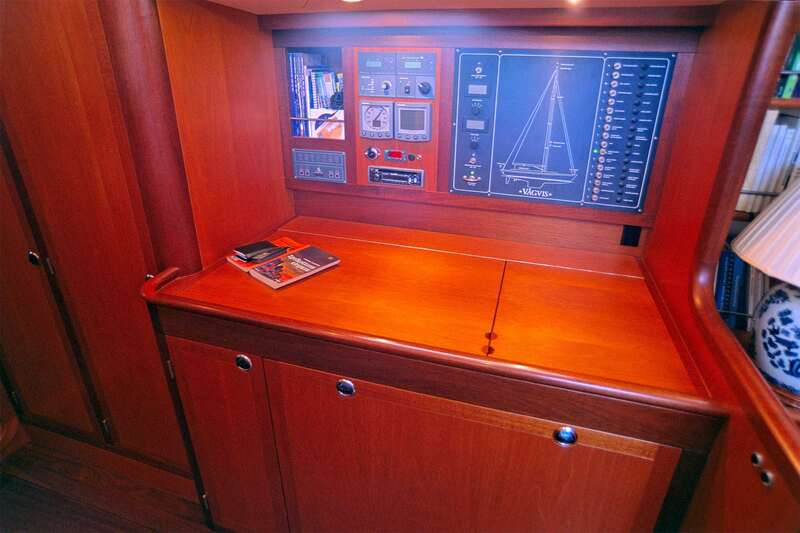 Turning aft on the port side, there is a big-sized chart table with a ‘coal-locker’-style chart stowage beneath. The Baltic can be rather cold in early spring, so further aft of the chart table, there are a couple of more lockers for outdoor gear. 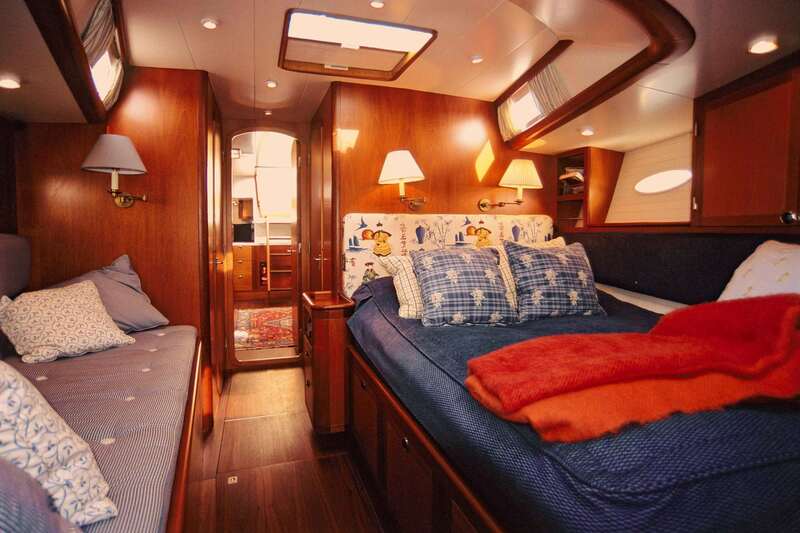 On the starboard side of the entrance is the heart of the yacht, the galley. 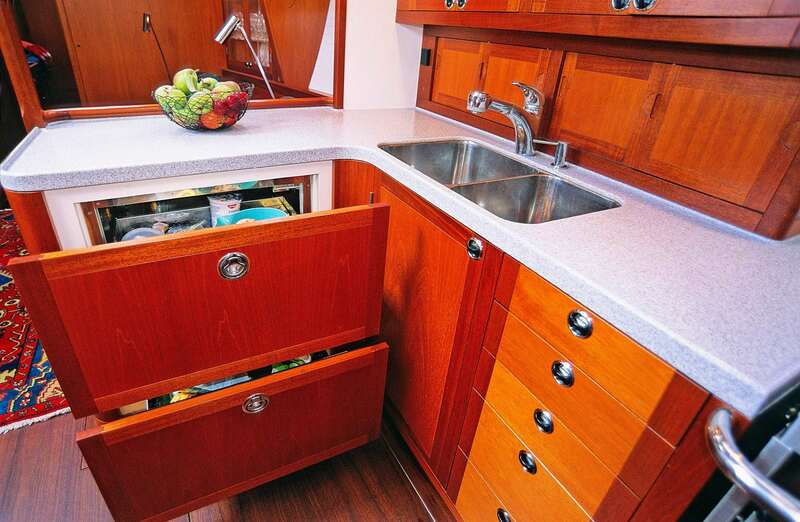 And this galley is a little special, because the owners of the 57’ are keen cooks. Not just the kind who read recipes and carry all the latest gadgets, but they do cook, real gourmet food. This galley doesn’t have a microwave. The fridge is arranged with two huge drawers, facing aft. Dry storage in two equally big drawers, facing forward. The freezer under the worktop on the inside of the galley. Above the sinks a drying cupboard. Lots of space and drawers. A wine cellar under the floorboards. Under the opening port into the cockpit, there is a big coffee machine which grinds and brews fresh macchiato or espresso. 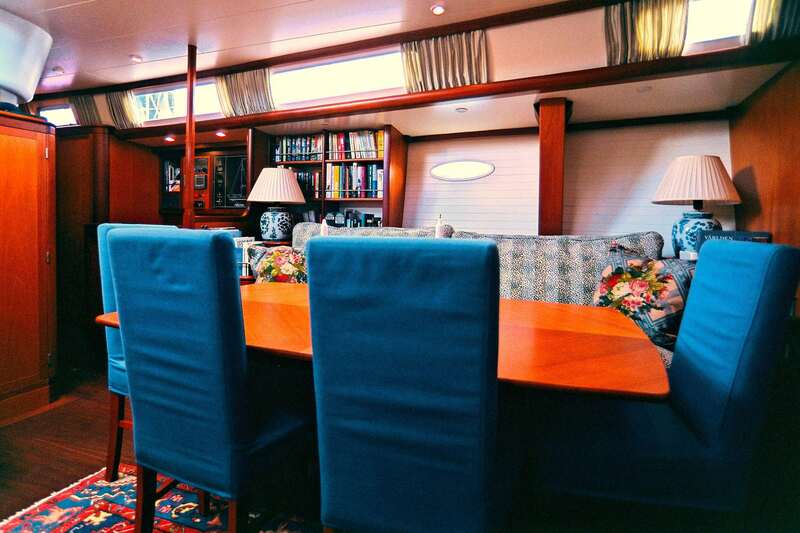 The galley and navigation connect forward into a pleasant main cabin. 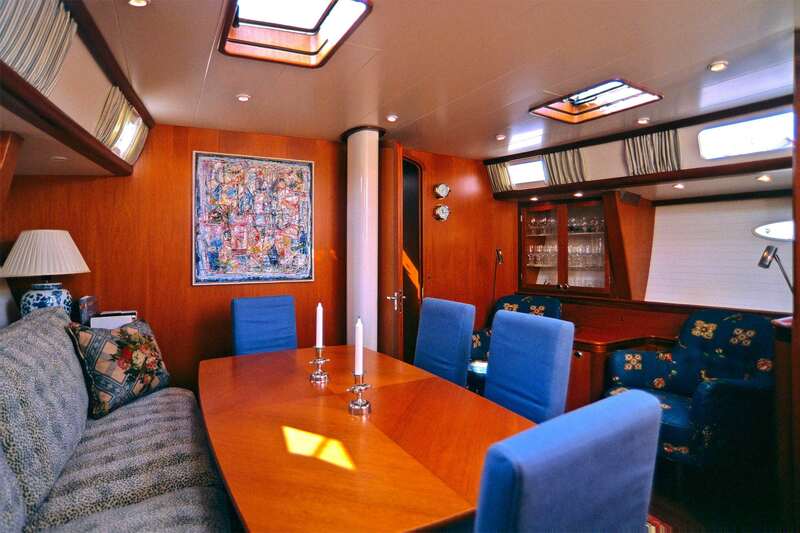 There is a pair of Bruno Mathsson armchairs on the starboard side and a dining table to port. 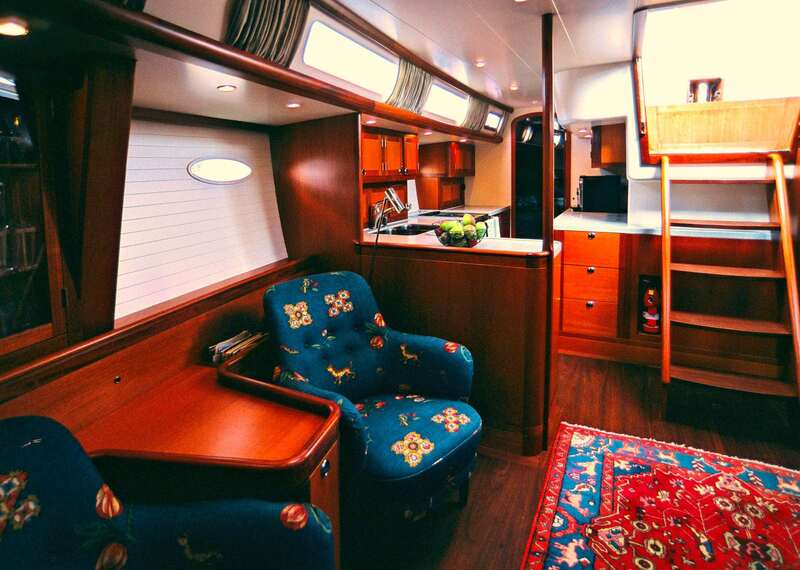 The interior is finished in unstained Honduras Mahogany, with white panelling on the hull sides. The bathrooms, the inside of the cockpit and underside of the deck are also painted white, directly onto the laminate, with no excessive weight. Knowing this, the super smooth paint finish must be seen to be believed! There are two equal, mirrored aft staterooms each laid out with a very generous double and a single extra sea berth or berth for a friend. These staterooms share a bathroom. There is a washing machine and a separate shower stall. 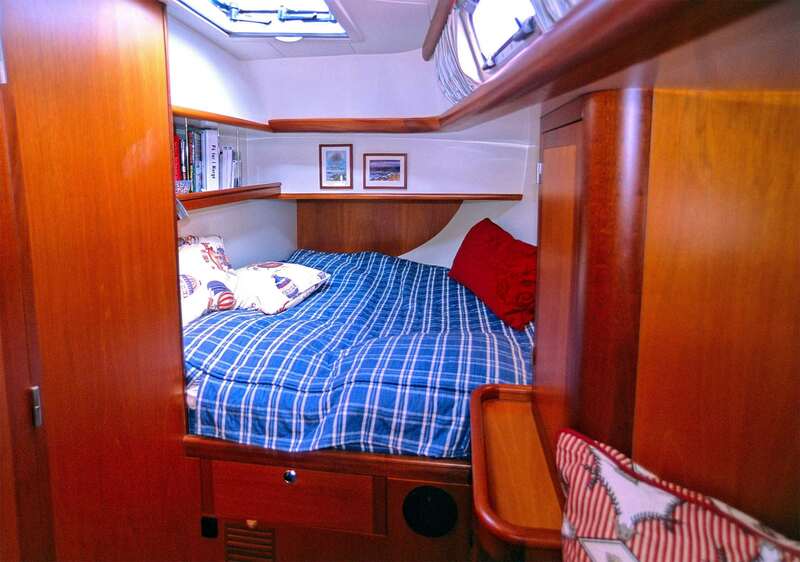 Forward, the owner’s stateroom also has a big double and an extra single berth. There are a number of good hanging lockers and clothes drawers, all lined with unfinished cedar. The bathroom is split; to starboard a small head, to port a bigger shower room. 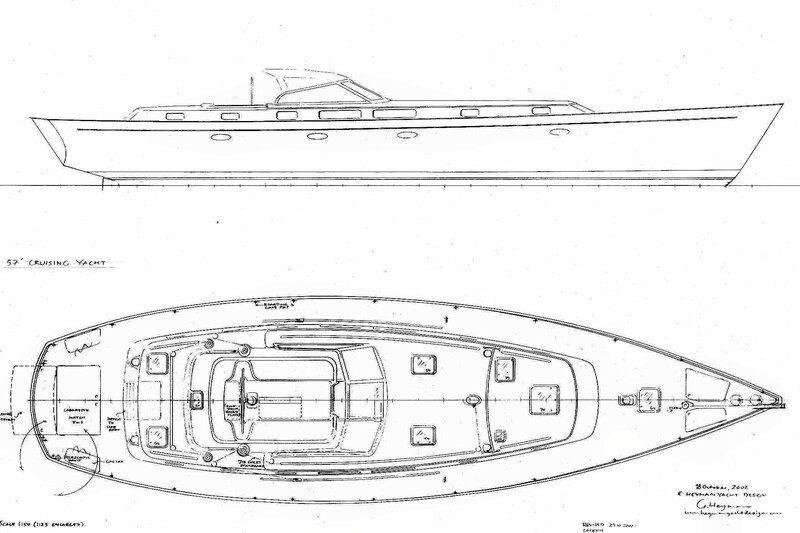 The volume below the soles allows an efficient positioning of batteries, tanks and engine in the centre of the boat. The 57 has a dedicated machinery room, sound and vibration insulated, accessible from opposite the navigation station.